Faith-based communities are well known for compassionately caring for their neighbors. Here in Port we have meaningful interfaith dialog with neighbors through the Clergy Association and cooperative efforts to serve those in need. Our congregation's “Helping People in Need” is part of a Cooperative Community Ministry in conjunction with the parishes of St. Peter of Alcantara, Our Lady of Fatima and St. Stephen’s Episcopal Church. Together we sponsor two Food, Paper & Personal Care Pantries and a Layette Ministry to provide Port individuals and families with essentials for their daily lives. As an economically diverse community, some residents are not aware of the challenges local residents face. Sadly, there are many Port families and individuals who, at times, must choose between paying for rent, utilities, and medicine versus food. 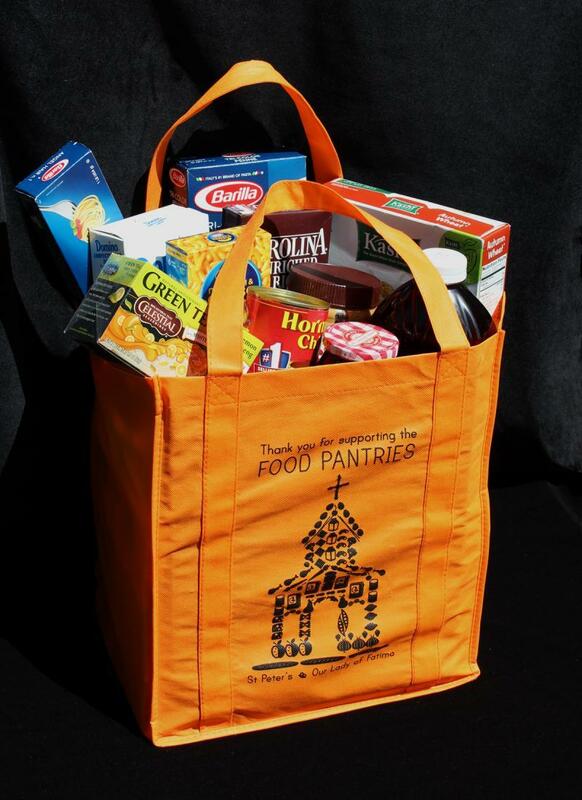 In 2012, Clare Masi helped in the development of the “Orange Bag” program to supply the food pantries at Our Lady of Fatima and St. Peter of Alcantara Roman Catholic Churches. Clare’s vision is for local residents to know all donations placed into “orange bags” during food drives and collections will stay within Port and serve local residents. Hopefully seeing the "Orange Bag" around town will also help in raising the awareness that there is a truly hunger crisis right here in Port Washington! To sponsor an “orange bag” food collection, please contact Clare at orangebag@optonline.net. This congregation not only assists the pantries by collecting non-perishables, but also by storing the bags and surplus food until needed. Anyone needing food can call Fatima’s outreach director, Sr. Kathy Somerville, O.P., at 883-3903 or St. Peter’s director, Lourdes O. Tagliatela, at 883-0365. Our congregation also happily supports Louise & Fr. Stuart Huntley and the people of St. Stephen’s Church in their Layette ministry. Neighbors looking for infant, toddler & children’s clothing, cribs, car seats, pack ‘n plays, etc. can obtain needed items by calling 767-0363. Opening at the Open House June 1st at the Lutheran Church is a “Paper & Personal Care Pantry” to supplement these other ministries. Low-income seniors, persons enrolled in SNAP (Supplemental Nutrition Assistance Program) and others will be able to obtain items such as paper towels, toilet tissue, bar soap, laundry detergent, toothbrushes, toothpaste, deodorant, etc. More information can be obtained by calling the church office, 767-0603 or responding to the "Helping Port Residents in Need" e-mail.